I entered my first race (the Blenheim Triathlon, in England) in 2005. It was for a story I was writing for the Oxford Mail and Times, and although it was only a short “sprint” triathlon, I was genuinely uncertain whether I would finish. I was a newspaper journalist, after all, not a trained athlete, and hadn’t the slightest idea how to prepare for a multisport event. Sure, I had swum before, and I had done plenty of jogging, but I was a rookie cyclist and didn’t know whether I’d be able to put them all together. Somehow, I did. I’ll never ever forget the joy and jubilation I felt as I neared the finish line and the significance of that set in. I was going to complete my first triathlon! Crossing that line filled me with a sense of achievement unlike anything else I had ever experienced. I was buzzing for days! It wasn’t long before I found myself registering for other races. Triathlon often leaves first-timers feeling exactly as I did: Sweaty, exhausted, immensely proud, and ravenous for more. Of course, some people catch a more powerful bug than others. Just a few years later, I handed my resignation to the same editor who had told me to run my first triathlon. He was floored when I explained that I was going to become a professional triathlete. Since then, I have competed in—and won!—races all over the world. I’ve also learned a few things about effective training, and I’m here to help you get the most from yours, so you can fly through your first race—and be excited for your next one. 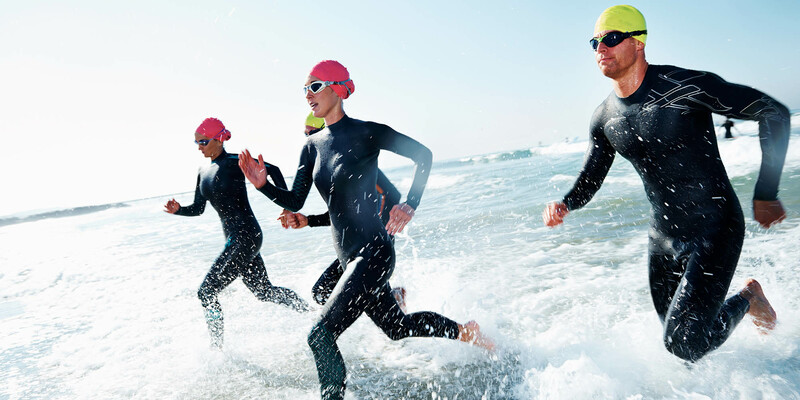 Triathlon might seem like an intimidating sport, but with the right preparation, anyone can do it. So let’s get started. For many people, hearing the word “triathlon” immediately conjures up images of the Ironman, which consists of a 2.4-mile swim, a 112-mile bike, and a 26.2-mile run. That’s one of the longest and most grueling options, but certainly not the only one. Other distances include sprint (0.5-mile swim, 12-mile bike, three-mile run), Olympic (0.9-mile swim, 24-mile bike, six-mile run), Ironman 70.3 (1.2-mile swim, 56-mile bike, 13.1-mile run), and ultra-triathlon, which is anything longer than a full Ironman. If you’re new to the sport, I recommend starting with the sprint distance. That will allow you to ease into multisport training and develop your fitness slowly, which is the best way to do it. If you rush building your foundation, you run the risk of overworking your muscles, ligaments, tendons, and nervous system, and becoming injured as a result. Plus, when it comes to training for a sprint triathlon, the time commitment is relatively low, allowing you to get a taste for the sport without having to completely rearrange your life. Once you catch the triathlon bug, you’ll likely start geeking out over gear—the latest bikes, the newest swim tech, cutting edge shoes. But all of that can drain your wallet, and it can wait. For your first triathlon—especially if you’re preparing for the sprint distance—all you need are a few basic pieces of equipment, many of which might already be collecting dust in your garage or under your bed. Swimsuit, cap, and goggles: If you’ll be racing in cool conditions, you also might want to consider buying a wetsuit. Bicycle: No need to get fancy. A road, mountain, or hybrid bike will do the trick as long as it fits you and is in good working order. Cycling shorts: Trust me when I say that these are a smart investment, especially if the sound of chaffing and saddle sores doesn’t appeal to you. Cycling shoes and clipless pedals: These aren’t essential, but they’re worthwhile if you decide to continue with triathlons, as they can increase your power and efficiency on the bike. Running shoes: You don’t have to break the bank, but neither should you go bargain basement. My advice: Buy them from a running shop (not a big box department store) where a salesperson will watch you run and determine the perfect shoes for your biomechanics and athletic needs. If the thought of training for three different sports at the same time sounds intimidating, I know how you feel. Every triathlete does. We were all newbies at some point. And I can dispel one of your fears right now: You don’t need to log huge hours in each discipline to build a solid foundation or prepare yourself for your first race. 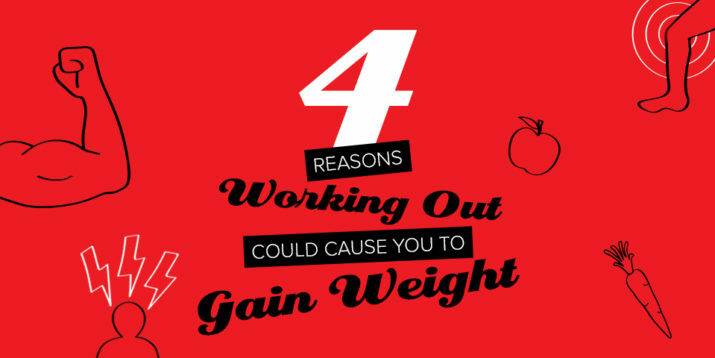 You can make remarkable gains during a typical 12-week training period by committing to just five or six hours a week spread over five or six days. As a general rule, you want to spend 50 percent of your training hours cycling, 30 percent of them swimming, and 20 percent of them running. Cycling makes up the largest part of the race, so it only makes sense that it takes up the largest chunk of your training. Focus on building endurance with longer, steady-state rides before you start adding speedwork to the mix in the form of tempo rides and intervals. For more information on the latter, check out four kinds of cycling workouts every cyclist must do. Unless you’re an accomplished swimmer, you’ll find this discipline the most technically challenging. My advice: Invest in some adult swim classes to simultaneously improve technique and develop fitness. The former is the more important of the two, as it will produce results faster than simply logging laps, which is what many people do. Once you’re comfortable in the pool, consider taking the occasional swim workout to open water (ocean, lake, etc. ), especially in the weeks leading up to your event. You won’t believe how much it can ease your anxiety about the first leg of the race. The running leg of a sprint triathlon is only three miles, so the running portion of your training is as simple as lacing up and logging miles. But as you progress to longer events—like Olympic and Ironman 70.3 races—you’ll also want to weave in some speedwork. Also keep in mind that the final leg of a triathlon isn’t like competing in a typical road race. 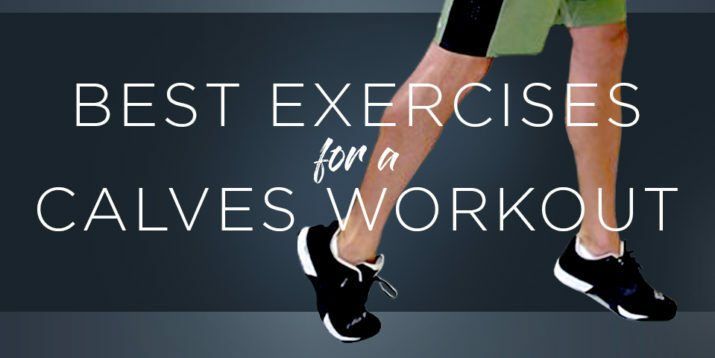 You’re transitioning from the bike, so your legs aren’t fresh. Prepare for that by adding “bike to run” sessions to your routine once your body has adjusted to the rigors of multisport training (i.e., after a few weeks). They’re exactly what they sound like—cycle for a while, and then immediately afterward, run for a while. Recreational endurance athletes often skip this aspect of their training. Here’s why you shouldn’t: Not only can strength training improve your speed and power, but it can also increase your running economy and time to exhaustion. Check out the new rules of strength training for endurance athletes to make the most of every resistance workout. Training provides the stimulus for physical adaptation, but rest and recovery is what allows it to happen. For this reason, it’s advisable to plan a recovery day each week—especially when you’re just starting out. Either take the entire day off or do “active recovery” in the form of a light swim (no lower limb impact), or a restorative practice like Yoga. Use this time to reboot physically and mentally, and try to keep it as stress-free as possible. Good luck with your training and enjoy the journey!